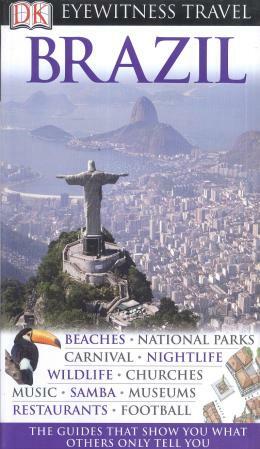 DK Eyewitness Travel Guide Brazil will lead you straight to the best attractions the country has to offer. Whether you´re partying in Rio or exploring the colonial architecture in the northeast cities of Salvador, Sao Luis and Olinda, this guide provides the insider tips every visitor needs, with comprehensive listings of the best hotels, restaurants, shops and nightlife for all budgets. It´s fully illustrated and covers all the major areas from the capital of the Amazonas, Manaus, to incomparable natural wonders like the Sertao, the huge swampland of the Pantanal to the futuristic city of Brasilia.Plus, you´ll find 3D cutaways and floorplans of all the must-see sites, as well as street maps and reliable information about getting around. DK Eyewitness Travel Guide Brazil explores the culture, history and architecture, not missing the best in entertainment, shopping, tours and scenic walks, in this unique country. With all the sights and attractions listed area by area, DK Eyewitness Travel Guide Brazil is your essential companion.DK Eyewitness Travel Guide Brazil &ndash; showing you what others only tell you.